When you think of skirts for the holiday season, you probably think about plaid, but why not think pink? 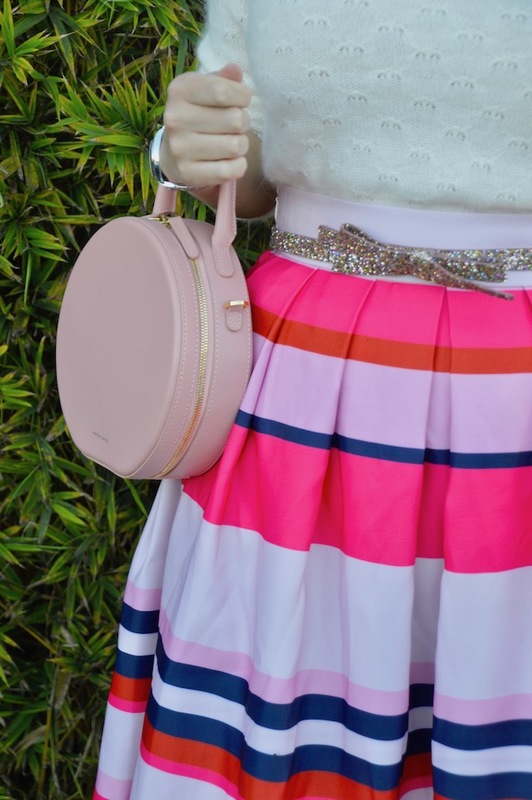 One of the things that I love about this pink striped skirt from Chicwish, in addition to the fantastic price, is that it's really a year round skirt. For winter, I decided to pair it with a fuzzy cream sweater and a glittery bow belt for a little holiday sparkle! It would really be a great skirt to wear to a party or just out shopping, like what I was doing when I wore this outfit last weekend! 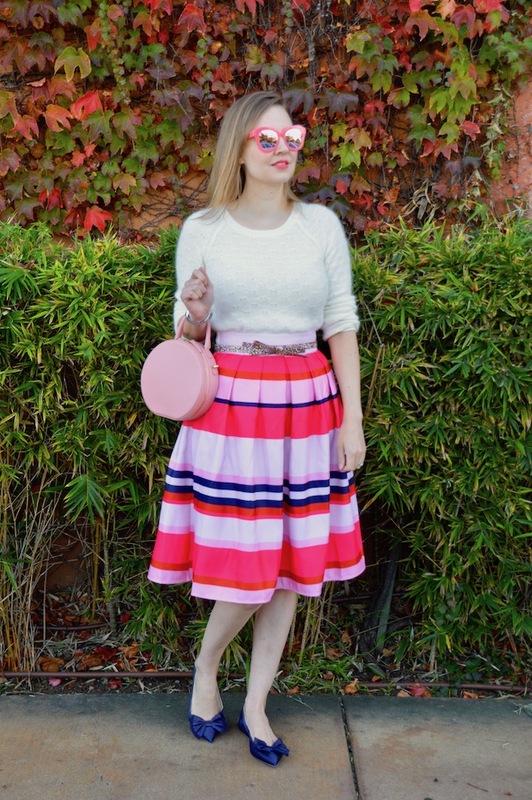 Just like the Love Sweater that I wrote about in my last post, the pink and red colors of this skirt would also be perfect in the future for holidays, like Valentine's Day. You could also break this skirt out in the spring with some floral. I really do love, pieces like this skirt, that take you from season to season and that can be restyled in so many different ways! Maybe that's why this skirt is called the "Staying Alive" skirt, as you'll be partying in it all year round! You right that skirt is perfect for Valentine's Day but I would love to see more people dress like that for Christmas too! I love your party skirt! It's a refreshing change from red and green plaid for the holidays! This is such a cute look! Your skirt is so cute! It's perfect for a holiday party!